For the 2019 model year, Acura has refreshed the design of the ILX. However, it still rides on the platform of the Honda Civic, its less expensive cousin. 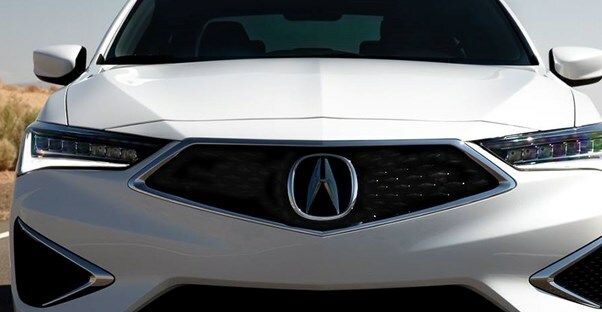 As the smallest sedan in Acura's lineup, it is a performance-focused premium sedan with an angular and aggressive front grille. Unlike other automakers, Acura doesn't have straightforward trim levels for their vehicles. Instead, the brand offers an array of packages that have component features akin to trim levels, although buyers can mix and match add-ons. We'll guide you through the buying process of building your own 2019 Acura ILX. The starting MSRP is $25,900, but the price can (and often does) go up quickly from there. First, potential buyers start with the appearance of their ILX sedan. On the exterior, there are three paint colors that don't add to the base cost: Platinum White Pearl, Lunar Silver Metallic, and Modern Steel Metallic. Two more paint colors cost an additional $400: Majestic Black Pearl and Performance Red Pearl. Lastly, two final colors require the purchase of additional packages. Drivers who want their Acura ILX in Apex Blue Pear will also need to purchase the Premium and A-Spec Packages (an additional $3,750). Those opting for the Canyon Bronze Metallic are required to buy the Premium Package (an additional $1,750). Depending upon which exterior color you choose, there are up to four interior designs. They include Ebony (a blacked-out interior), Espresso (chocolate-colored seats and door inserts), Graystone (a silvery gray and black two-tone design), and Red (a racing-inspired design of red seats, door inserts, and accent trimming). As with the exterior color choices, certain combinations require the purchase of additional packages. The standard wheels are a 17-inch glitter silver machine-finished set. Upgrades include black alloy and pewter gray 17-inch sets or an 18-inch shark gray set. On the 2019 Acura ILX, the engine and drivetrain options are simple since there is only one offering for each. Every Acura ILX is a front-wheel-drive vehicle featuring a 2.4L inline-4 engine capable of 201 horsepower. An 8-speed DCT automatic transmission is standard, as well. That's good enough for EPA fuel economy ratings of 24 mpg in the city and 34 mpg on the highway. The cheapest package option buyers can choose for their 2019 Acura ILX is the Premium Package. For an additional $1,750 on top of the base price, the Premium Package upgrades the seats to leather. On the tech front, drivers will also find Apple CarPlay and Android Auto integration, as well as HD radio and SiriusXM satellite radio. Safety features include a blind spot information system and rear cross traffic monitor. Choosing base appearance options and opting for the Premium Package would bump the price of an Acura ILX up to $27,650. The Technology Package is the second most expensive at $1,900. However, purchasing the Technology Package also requires the purchase of the Premium Package. That adds a total of $3,650 on to the base price of an Acura ILX. This package adds dynamic guidelines to the multi-view rear camera. Additionally, there is also an upgraded sound and audio system. Models with this package feature the Acura/ELS Studio Premium Audio System with 10 speakers, including a subwoofer. There is also Acura navigation with a 3D view, real-time traffic, and traffic rerouting. The A-Spec Package is an added $2,000 and is focused on sporty appearance. Choosing it also requires the Premium Package, which means that the total additional cost would an extra $3,750 on top of the base price. A 2019 Acura ILX with all three packages would start around $31,550. The A-Spec Package adds larger 18-inch wheels, gloss black accents with unique Ultrasuede-trimmed red or ebony interior, and also LED foglights. Other cosmetic features include side underbody and decklid spoilers and A-Spec badging on the front fenders and trunk. Lastly, buyers can add individual interior and exterior accessories. Exterior accents include chrome door trim and mirror accents, as well as body side molding. One thing that we don't like is that back-up sensors are not included in any package. They must be added on separately for an additional $528. Added interior accessories include premium carpet mats, trunk trays, and sunshades. You can probably find these accessories after-market at a discount, but one factory offering might pique buyers' interest. An interior illumination packed provides soft glow accent lighting to driver and passenger foot wells.